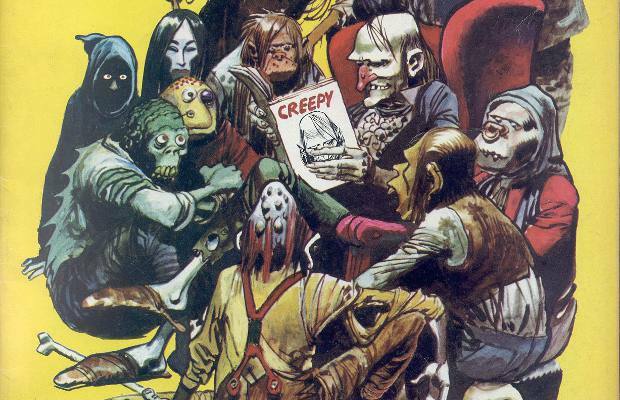 “Eerie” And “Creepy” Comics To Get Turned Into A Television Series? According to Bloody Disgusting, American History X producer Josh Braun announced at Comic-Con that he plans on bringing the popular horror comics Eerie and Creepy to TV in the near future. Director Christopher Columbus (Harry Potter, Home Alone) will be behind the camera for a select number of episodes, according to Braun. Ti West (The House of the Devil), Larry Fessenden (The Last Winter), and Mark Duplass (Baghead) have also been tapped to helm a few episodes of the series, which, if it wants to maintain its true horror roots, should look toward cable networks as possible on-air destinations. Both Eerie and Creepy were launched by Warren Publishing in the ‘60s, and became so popular that their combined impact prompted Marvel and DC to release their own horror titles. But because Eerie and Creepy didn’t have to adhere to the Comics Code Authority on censorship, they always featured more violent and macabre tales, which, ideally, should make for some gruesome small screen entertainment.